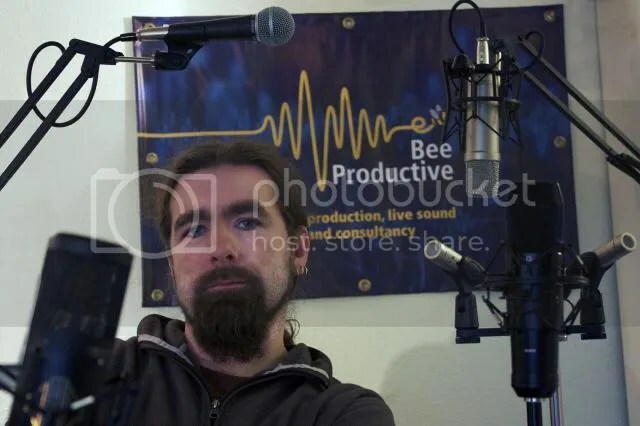 Bee Productive is owned and run by Rob Bee. Rob is a sound engineer with many years of professional experience behind him. Rob started out – as many engineers do – playing in a band as a teenager and having to scratch together PA systems for gigs and recording equipment to make demos, all in the days before digital equipment was cheap enough to come by easily. Rob found as much pleasure in this side of being in a band as actually playing, and soon found he was the go-to guy whenever his musical friends needed some technological assistance. 1998 saw Rob take things more seriously as he enrolled at Manchester’s School of Sound Recording where he achieved a diploma in sound recording technology and techniques. Following on from college Rob took a job working at one of the country’s leading voiceover production studios where he rose through the ranks to become their senior production engineer, responsible for quality controlling the studio’s output and training up junior engineers. Rob remains as passionate about sound as he was as a teenager, but now he has the experience, knowledge and wisdom to go with it.